This year had been a really crazy year for our family. We had a new little precious baby, were packed ready for a move that never took place, changed some of our diets due to sensitivities, dealt with all kinds of work & business changes (for myself and my husband), took on a few outside short term activities for some of the kids and still homeschooled our large family through it all. And isn't that just like life to throw in a few curb balls in there along the way? Yes, I am sure many of you have had to deal with many things this last year, good and bad and here we are--many of us at the end of the year. But don't throw in the towel just yet! We can finish this thing strong, I promise you. 1. Pray for wisdom- ask God for wisdom to finish the year strong and for Him to direct and order the last few weeks/days that are left for you this school year. 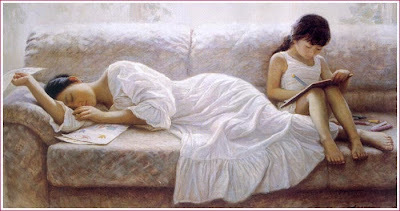 He knows what we need before we even need it, He knows our days to the smallest detail of your homeschool day. We can trust Him to show us the way. 2. Simplify the last few days or weeks - Ask yourself what really matters--what really needs to get done? Will we cover it next year? For example, I went over some of the younger kids math books and had them focus on learning the main concepts they were taught instead of doing all the repetitious practice problems. I checked the math book they were going into next year and pleasantly found out that they are right on target (in fact, actually ahead!) and the whole time I though we were "falling behind". Don't let the thinking that you are falling behind pressure you and make you feel guilty. I think that homeschool moms never feel like they are doing enough and we don't need that extra burden on us. We just need to plow ahead and make sure we are even if we got a bit off track. 3. Reschedule - Are you looking at your schedule thinking that you are not ever going to end the school year because you planned too much or you have too much book at the end of the year? Towards the end of a year I might double up on lessons but have them do less "busy" work so we can move forward. Remember that not even public school teachers do everything in a book and don't finish everything. Our books are just a tool and we do not need to become slaves to them! I get really serious and change everything that was on the agenda and getting rid of what is not necessary and scheduling in what is. 4. Encourage - My son, Josiah (who is eight and one of the twins), finished a third of his math workbook in 2 days this past week. I was so surprised! It just goes to show that they can learn quickly when they are ready and motivated. I took him out for ice cream and praised him for his efforts that went beyond and above what I asked. All the other children took note and got busy trying to finish up quickly. Don't forget to encourage all the rest (I like to point all the new things they learned this year and how well they have done) because I find that helps them to stay motivated and stay focused. Praise can go a long way so don't forget to praise abundantly. 5. Keep Perspective - there is light at the end of the tunnel and the end is approaching. That is something to celebrate! Keep focused on finishing but don't stress yourself out. Just do what matters and know that they have another whole year to learn where they left off. It doesn't have to be complicated and try to keep in mind that the children are always learning all through the year. I do have another senior that I am graduating so I am making sure that she is squeezing in those last important things in (like her thesis paper) before she is done. My older children all work independently so I only had to readjust and tweak some of their schedules. The important thing to remember is not to be afraid to change things up. Remember that this is your school and your kids and you can do what you like. We have the freedom to finish the way we want to and we definitely can finish strong with the Lord's help. 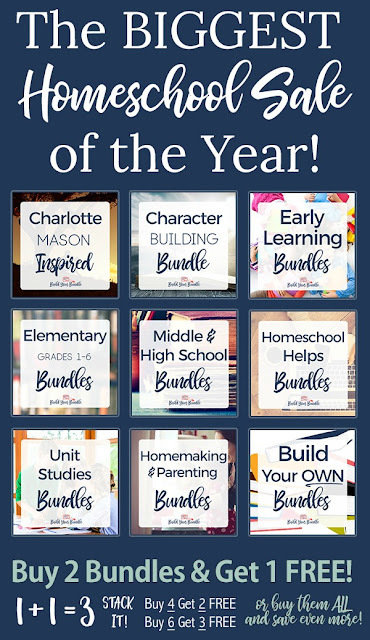 And don't forget that right now you can save up to 95% in Homeschooling Curriculum through the Build Your Bundle 2018 Sale--it is the Biggest Homeschool Sale of the Year! But remember that it is available only for a limited time only and then it will be gone for good. You can check out all the bundle goodness HERE! We hope it is a blessing to you! What is the biggest challenge you have trying to end your homeschool year? Love this! I just praised God out loud for reaffirming what I am choosing to do to wrap up our school year. We just have math left and I'm having two of my children just focus on the new math concepts as well in their workbooks. If I am seeing an issue, we pause and do some more problems until I see that they are understanding it. I too, felt like they were falling behind, but they have this renewed spirit now and are working harder than ever! Thank you for your encouraging words!